Ok everyone, hold up a trowel if you know what USDA Hardiness Zone you're in. As a gardener, knowing your zone is one of the most basic and important pieces of information you can possess. Your hardiness zone helps to tell you what plants grow well in your area. Originally developed in 1960, the USDA Hardiness Zone Map divides North America into 11 separate zones. There are also two 'subzones,' labeled "a" and "b" within zones 2 through 10. The map is divided based on the average annual minimum temperature range, by increments of 5 degrees. For example, the average yearly minimum temperature for zone 8a is 10°-15° F. The average yearly minimum temp for zone 8b is 15°-20° F.
So, let's say you're shopping for a plant online and you find one that piques your interest. The description for the plant says it is hardy in Zones 3-8. You know from the map that you're in Zone 7, so therefore, it is likely the plant will do well in your neck of the woods. However, gardeners can often bend the rules in either direction. "Micro-climates" in your landscape can be utilized by planting in a south-facing sunny site against a brick wall, for example, thus expanding your options for using heat-loving plants. Conversely, warm climate gardeners can sometimes maintain plants that typically prefer cooler temps by placing them in partial or total shade. 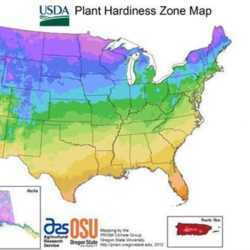 Of course, other cultural and environmental issues contribute to your plants' well-being, so while the USDA Hardiness Zone map is a great tool, it is not foolproof and should be looked at as a guide only. And, to slightly complicate matters, there are several other hardiness maps which gardeners can consult for advice. In 1997, the American Horticultural Society came out with a Heat Zone Map, sort of a bottoms-up look at the USDA Hardiness Zone map. The Heat Zone Map bases its zones on the average number of days each year that a given region experiences temperatures over 86° F, which is the point at which plants begin suffering physiological damage from heat. The zones range from Zone 1 (less than one heat day) to Zone 12 (more than 210 heat days). There are also intraregional maps. Sunset's Western Climate Zone system divides the Western U.S. into 24 climate zones. Each takes into account winter cold and summer heat, humidity, elevation and terrain, latitude, and varying degrees of continental and marine influence on local climate. Confused by all these zones and maps? Yeah, me too sometimes. 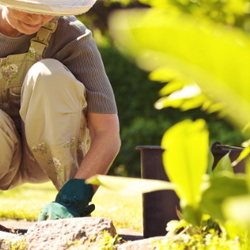 However, being a good gardener means also being an educated gardener and the more information the better. In addition to your local nursery experts, several sources out on the Web will tell you all you need to know about the climate in your area and the plants that do well there. In short, if you've got your heart set on a plant with growth recommendations that fall outside your zone, tweak the rules and give it a try, but don't be surprised if the object of your desire doesn't last. I am an avid organic gardener and former Master Gardener for Collin County, Texas. 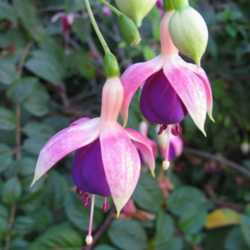 I enjoy growing nearly everything, from vegetables to herbs to tropicals. Lately I have been converting the flower beds in my Zone 8 home to all Texas natives. In my non-gardening spare time, I enjoy cooking, reading, birdwatching or hugging on either my sweet English hubby or our Golden Retriever, Monty.